Can you get penalized for external links? The debate gets covered on just about every marketing and SEO forum on the planet; so, what’s the verdict? In some cases, yes, but most of the time, no? Confused much? I sometimes feel as such so I’ve been slowly collecting links of interesting threads, discussions and informational tid-bits on the subject over the past 6 months. I thought it would make a good post and allow people to add to it via the comments. I’ll add the good stuff into this post as time goes on. Our team has been getting more and more interesting emails from people suspecting that links were causing them issues. While it’s easy to think that right away, we do have to consider other factors that can come into play. There are hundreds of Google algorithm tweaks a year, your competitor’s own efforts, brand clout, user engagement, social media influence and who know what else. There is, however, a great deal of “cases” that have come up online that might suggest links are a potential threat. This is something we’ve encountered a lot more as of late and it definitely has been a case of bad links 100% of the time. The usual suspects of mass forum and social 2.0 profile links, paid blog posts, link wheels and spammy article marketing efforts are almost always a factor. Heavy focus on a few anchor text phrases was also pretty typical, something a lot of people have speculated as a problem child. Regardless of what we think, let this serve as an educational reference for those pondering the same thing. We’ll start with this as it’s the most recent and public attempt at devaluing your link building efforts. What we’ve seen in cases where this notice pops up is that you’re most likely doing some really low quality link building. While a lot of people argue that you cannot be harmed by links, this is now a pretty good argument against that. The other argument made is that competitors could just knock you out of the SERPs with a Xrumer/Scrapebox/spam-tool-of-choice blast. We’ll take a look at that next, but for now we’ll pile on the public cases for this message. Keep in mind I’m talking about the message for external link violations, not the one for selling links. The selling links message, however, does make the odd appearance on Google’s Webmaster Help Central, most notably this thread involving Forbes.com. The reason I don’t think we’re seeing too many public cases is because this doesn’t get served all that often. There must be certain factors at play that are determining that this website is in fact taking part in a scheme, and it’s not a competitor doing it. This is where having Majestic SEO in your tool shed comes in handy as you can see any correlation of link spikes to penalties. Ignore that piece of content that went viral and more so look for abusive link exchanges, paid footer/sidebar links and your 10,000 forum profile links. Click on the above image to take you to that Google result for a more up-to-date look, but here are some of the most interesting cases I’ve read. If you use that search query or Google discussions, you’ll find a lot of other people in SEO/Webmaster forums posting about it. Some threads to specifically go through is this Warrior Forum one, this v7n post and why not throw in a Digital Point thread while I’m at it. These forums are ripe with link spammers promoting their lame affiliate sites that pollute the search results. Can Competitors Knock You Down With Bad Links? From time to time I’ll get an email or read a thread where someone claims that this is happening. I mean, if I were building junk links to my affiliate site and got caught, I’d claim it was a competitor as well. Since it’s out of your control, it is thought that it shouldn’t be a problem or something to worry about. For the most part, I’d agree with that statement. There are a few great threads out there on forums where people are having heating debates over the topic, but I got a couple of quotes that will refute anyone’s claim if it being impossible. piling links onto a competitor’s site to reduce its search rank isn’t impossible, but it’s extremely difficult. “We try to be mindful of when a technique can be abused and make our algorithm robust against it,” he says. “I won’t go out on a limb and say it’s impossible. But Google bowling is much more inviting as an idea than it is in practice. So it isn’t impossible after all! I, however, have never personally seen something like this actually happen to a website. Besides hearing rumors of services to knock down competitors, there are a lot of threads with people complaining about it happening. I personally think it’s just rogue outsourced SEO’s making them links they later discover to be absolute poison. We’ll just have what I found here on file for reference and personal education on the topic. Most of these topics will be from 2005 when this was a hot topic, so a lot of this is out of date. A disadvantage or unpleasant experience suffered as the result of an action or circumstance. Since a drop of 50 places in the SERPS is usually accompanied by this apparent penalty, we’ll take a look at some of the causes as well as examples in the wild. We have a client that is still not able to move past the fifth page for his desired keyword for nearly 2 years. 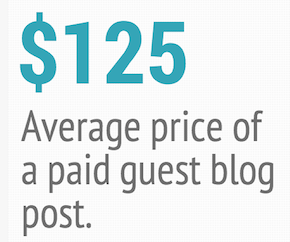 This came from buying a few hundred blog posts all gaming one anchor text. These were done before we started and we’ve been trying to remove as many as possible over the years. To me, this is a filter put in place and we’ve seen it get lifted after a certain period of time or when those offending links were changed/removed. So let’s assume either penalty or devaluing of links when I talk about some of the link building methods below. If you were building links and noticed a 5 page drop, I’d consider that a penalty of sorts and be sad. Let’s see what we can find on the web regarding certain types of link building activity that may harm you efforts. I always read in between the lines of what Google says in its blog posts, comments and forum activities. The first example I’d love to bring up was inspired by a blog post on the Google blog on how they treat comment spam. A natural link profile looks void of schemes such as excessive link exchanges, 10 million anchor text blog comments, unrelated forum profiles, junk content marketing and all the other bad stuff. Your anchor text variation hopefully looks natural enough… I mean barely any site out there is 100% whitehat, so some manual link building is going to take place eventually. That’s why we don’t build that many targeted anchor text links and go for the more random linking approach. If your on-page SEO is sound, the links will do almost the same thing. Don’t get me wrong, there is still significant ranking power in those specific anchor text links. If you used this approach in the past and you want to solve this issue, you should have a look at your incoming links in Webmaster Tools. To do so, go to the Your site on the web section and click on Links to your site. If you see suspicious links coming from blogs or other platforms allowing comments, you should check these URLs. If you see a spammy link you created, try to delete it, else contact the webmaster to ask to remove the link. Once you’ve cleared the spammy inbound links you made, you can file a reconsideration request. This is why you don’t leave open Wiki’s on .edu’s! – http://www.google.com/support/forum/p/Webmasters/thread?tid=73d7c79b23ee3c1d&hl=en another one where I commented and get knocked on for saying he triggered a filter of sorts. They say that’s hogwash, I saw not because it is only effecting a couple keywords, and the rest stayed fine. While I’m not claiming proof of anything here, I want to open the discussion from webmasters, SEO’s and rands on what they’ve experienced. If you’re one of those claiming that external links cannot hurt your site, let’s hear a good argument. I hear this a lot onGoogle’s Webmaster Central from their top mods, yet they all think that if someone steals your content you can lose rankings for that. That backwards thinking bugs me the most because their argument is that the links are out of your control. Well, so is someone stealing your content. We’ve personally seen rankings come back after link profiles were cleaned up after a lot of hard work. I personally believe that dropping to page 5 or worse for only a certain search term is a penalty. We’ve seen many people come to use stuck around then, not able to move until the algorithm determined it had cleaned itself up. I am open to it being one of the other hundreds of algorithm factors, but I see too much of the same going on when bad links are involved. So my stance? Links can cause issues, some call them penalties and others call it devaluation. In the end you’re losing out on business, and that’s not a positive thing! Posted in Link Building and tagged google, Link Building, link penalty, unnatural linking. Bookmark the permalink. Whoa. This is the best post on SEO I’ve read in a long time! Ryan you really are a superstar. Thanks Dan..I kind of rambled on and slapped it together. I just hope it gets a good debate going on and perhaps helps some people out. I just know that a lot of bad link building will lead to unhappy times, so hopefully this gives everyone a better understanding. Well Ryan this is something really new for me in SEO. I was tired of searching something new in SEO but you have shared amazing piece of information. I really don’t know before that competitors can knock down you. Will research about my competitors for sure. I’m guessing your competitors are the sun, alcohol, cigarette smoke, and poor diet. I’ve done some experimenting with my personal site, and I have worked to “clean up” or improve corporate client links, also, so I have a little bit of experience in both realms. However, I’ve seen bad links just destroy a corporate client. Attempting to salvage their rankings included a lot of cleaning up, and a lot of fixing. I have a feeling Google may not be completely honest about the ease of Google Bowling. Can you imagine the chaos if Matt Cutts, or anyone from Google said: “Yeah, there is no way to know if those bad links came from you or a competitor.” –which, I believe is closer to the truth than those silly “our complex algorithms..blah blah blah.” Yeah, right. Great article! :) Thanks for taking the time to put all this info together. Your “rambling” is full of substance. People should read this with care. Might be hard with us being used to so many fluffy editorial pieces with little message and instruction. I can verify that websites can be penalised with inbound links but of course it’s all a matter of ratios of link types, timing and domain trust. – add new strong links ? Of course you can get penalized for external links, what else are those “unnatural links” notices about? Couldn’t agree more….there is a giant mob of people out there who will argue to the death that external links cannot harm a site..cough cough GWC moderators. I agree with you totally. External links do harm a sites online reputation and hence one should be careful about it. 4) placement of links (footer, nav, hidden, too many links on page, links on a penalized or banned page, etc.). It seems that links alone are enough to penalize a site – BUT it does take a greater percentage of “link spam signal” the older the site is and the more “natural” links it has. If there are other spam factors (dup or thin content for example) it is easier to get nailed for linking penalties when panda rolls out (panda is a periodic filter applied every 2-4 weeks that works off of high bounce rate and then goes from there to find +%50 dup, thin, or nonsense content). These opinions have been the result of my careful research / experiments into live sites in the affiliate field, which either choose TLDs which are more stringently checked, or are just more stringently checked b/c these sites are in the rater’s likely “spammy” affiliate/pure PPC niche. I invite comments and critique. Has anyone had success with “defensive SEO” tactics, i.e. building link scum to a competitor? Alternatively, what can you do to combat someone building garbage links to your site? Is it even realistic to think that you can do anything? Thanks and one thing to keep in mind when blog commenting is to NOT use your anchor text as your name..it’s really spammy and annoys blog owners. What a very in depth post, well done. I think it’s good to see some of these Google algo updates push out some of the users of spammy link building software. Can only add value to the web in the long run. White hat is best for sure if you want to build a long term online property . Absolutely no debate here. I have personally decimated rankings of (my own test) sites over and over again by pointing a ton of spammy blog links at them via screapebox. Remove the links and the rankings come back. Specific cause and effect. I could do the same thing (but won’t) to competing sites any time I wanyed to. Google needs to tighten thisup big time. I specifically received the link penalty message from Google’s search quality team today that had the sentence, “Specifically, look for possibly artificial or unnatural links pointing to your site that could be intended to manipulate PageRank.” etc. They gave me 3 link examples of what I needed to remove. I believe they want me to remove a combination of heavy anchor text links and links in irrelevant articles all on other websites I do not own. I am not using a link scheme of a bunch of sites I own linking to each other so I must contact over 1,000 sites and ask them to remove these links. Of course I will only concentrate on the links that are the most spammy. Did I create these links? No most must have been created by outsourced marketing efforts. I thought Google didn’t penalize sites for inbound links? I have had a site online for around 6 years… it has always ranked well because I worked hard to provide excellent well targeted relevant content. I have always had about 50-60 incoming links or so from various .EDU .GOV and some major sports teams websites (for some reason)… But right before the holiday shopping season started in 2011 I suddenly noticed that there were over 8000 links coming to my site… and I couldn’t figure out where the links were coming from. ALL the domains returned a 404.. 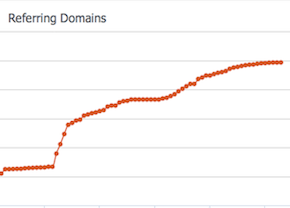 I had about 289 (free) dot.TK domains with around 1-12 incoming links on various pages per domain AND if I do a whois search on them they are all cancelled domains that are being redirected to some advertising BS.. I also found over 300 dot.INFO domains that link to my site in the exact same way… (ALL PRIVATELY REGISTERED) and the domains return a 404 so I can’t find the links. So these guys have taken the algorithm changes and used them to wipe me out… now they are the ONLY ONES showing up in the first 30 full pages of Google… The first page is 70% counterfeit sites and the rest of the pages (to 30) are 100% counterfeit sites… so if you have an enemy with THOUSANDS of domains… YES they can WIPE you out… simply by linking to you without the rel=”nofollow” attribute set and if they do it thousands of times OVERNIGHT… that sets off all kinds of bells and whistles inside the Googleplex and you’ll be penalized. Try to get that through to the Google morons… I have filed several reconsideration requests and have asked for specific help in finding these links that are supposedly on 404 domains that I can’t even see and the treat me like I am some kind of criminal. How am I supposed to “clean up” links on domains that are cancelled…?? How am I supposed to contact over 300 privately registered domains..?? This site was my job… the way I pay the bills every month and Google won’t even LOOK into it for me and they will not take any responsibility for implementing such an obviously ignorant change in ranking. This just makes for a very unstable/insecure environment to work in. Way to go Google..! With the new update and talk at SXSW there is more of a focus on content and really good content. A site with poor quality content and great links now could possibly rank lower than a site with great content and minimal links.